This accent chair is right at home with so many aesthetics. 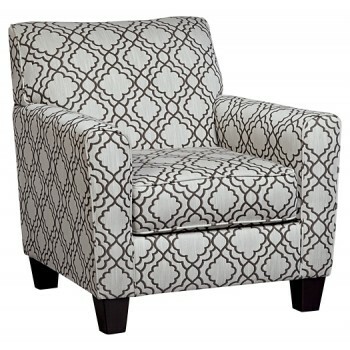 The time-honored profile and stunning lattice print represent traditional design at its finest, while the linen-weave upholstery is decidedly relaxed. Best of all, the neutral shade complements color schemes and aesthetics aplenty—especially spaces with a cottage-quaint, farmhouse feel.